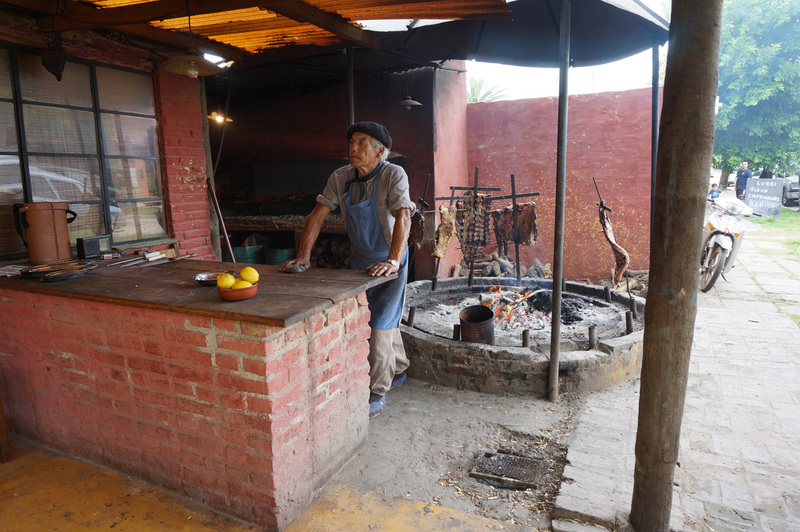 Estancias stays are a popular addendum to a Buenos Aires travel itinerary. 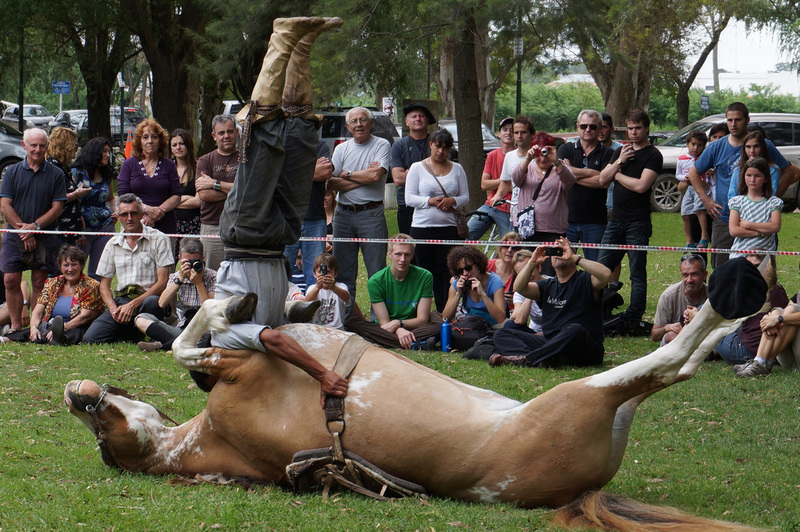 Numerous ranches are within a few hours drive from Buenos Aires and make for a terrific escape from the city. 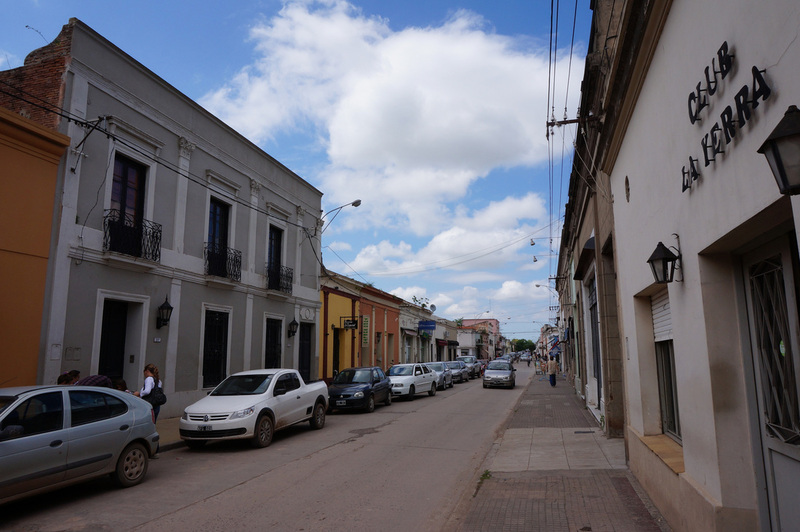 I took an alternative approach and bused out to San Antonio de Areco, a well preserved, colonial era town, that happened to be hosting a Pioneer Day event. Unfortunately when I arrived I learned the event had been abruptly canceled (signs were still out promoting the event). I quickly changed my bus ticket to an earlier return departure. Without the headline event there's not much else to see. It is a picturesque town to walk through with either well preserved or refurbished historical homes. There's central plaza square and a Catholic Church. Around the square are a few restaurants and places to eat breakfast. The town's grid street road organization made it very easy to wander without getting lost - the town is at most ten streets wide by ten streets long. Everything shut down between 3-4 in the afternoon. There's a narrow river that runs along the north side of the town. 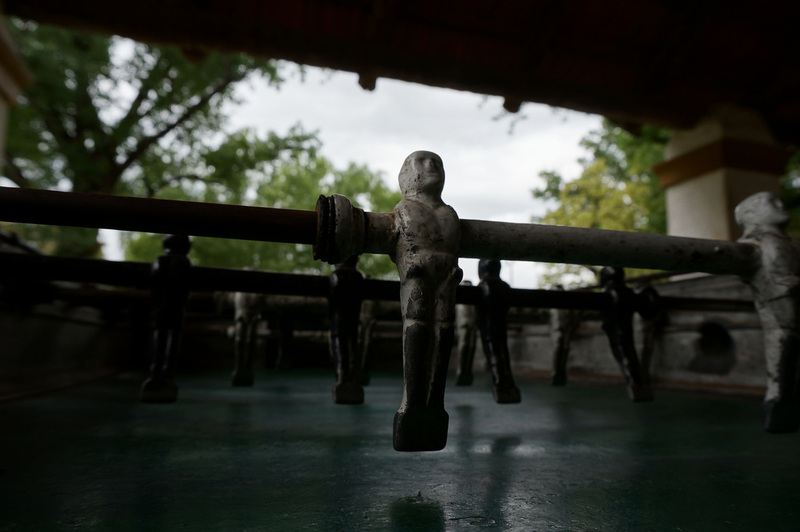 Across the river was a park that had a vintage foosball table. 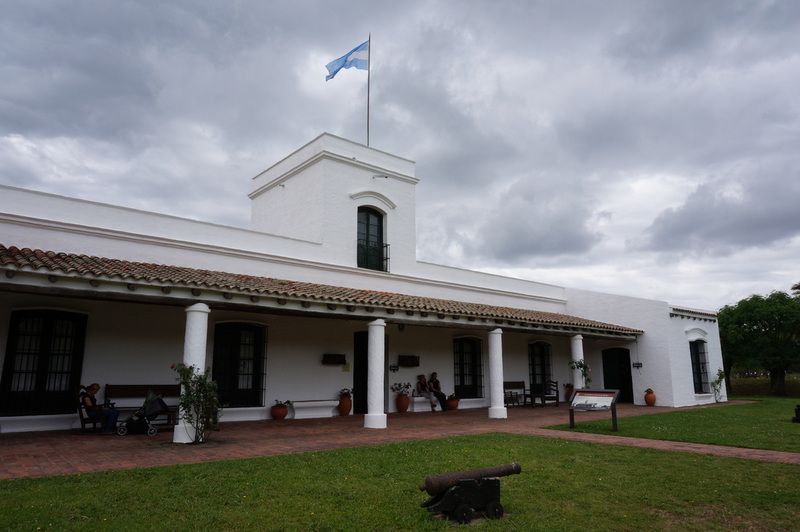 A ten minute walk from here has a restored hacienda and fort. Tonight was to be the Pioneer Days main event, however, construction workers were dismantling a stage near the hacienda. The longer I was here, the more touristy this place felt. When I first arrived I thought I had stumbled upon a hidden gem of a well preserved working colonial town...the more I was here, the more I felt this place relied upon and catered towards tourists...not necessarily international visitors, but Portenos looking for a weekend escape. Some of the restaurants were a little too fancy and others that seemed authentic I think were just putting on a show. I had the worst meal at the steakhouse below - the place looks awesome, however, I received three pieces of burnt fat and I only received that because I think the waiter forgot my order, realized I'd been waiting for a while and brought me some scraps. There's a couple of places that look like this along the main road off the plaza...I'd avoid all of them. 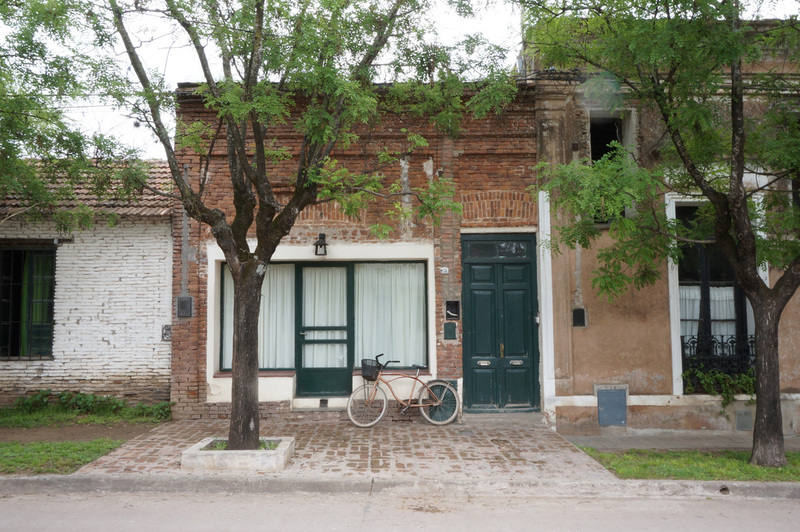 For additional San Antonio de Areco photos see FLICKR ALBUM.